Below is just a snippet of September’s newsletter. If you subscribe or go to my website you will have access to the astrology section, monthly raffle and a variety of other goodies! Here we are once again…last month of 2014. The planetary energies are favourable this month for bringing out that festive spirit. But we do have some major planets getting ready to go retrograde or turn direct. As we come to the close of the old year I always make a point of looking back at where I was this time last year. And I am always amazed at just how much I have done and learned. Soon we will be entering 2015 and hopefully a more positive time of growth for ourselves and the world around us. The specials for this month include the popular “Solstice of Light” and “Yule Star” tarot readings. And for those of you wanting a glimpse at what the New Year will be bringing you, the ever popular “New Year Outlook” and “New Year, New You” readings are available. The New Year Outlook reading comes with a 1 year astrology transit report too! All of these can be found in the Monthly Specials section along with a few other inspirational readings to help bring balance into your life. You can have a browse through the many specialized readings I offer on the Tarot Readings page. Tarot’s Life Path & Personal Growth section is a good place to start! Or take a wander through the various Oracle readings on my site, like Rune, Angel, Faery and Animal Totem readings. All of these categories can be found on the main Reading Room page. Well here we are folks! Last day of November and the start of the Yule countdown (although many started that months ago from what I’ve seen lol). I can’t believe that another year is nearly at an end! December’s energies have a bit more playfulness to them, which is good for the holiday spirit. Keep in mind, it’s not about all the “stuff” you get or give. It’s about the quality time and love you share. Now, without further ado…let’s see what this first week of December has in store for us! Our weekend has been a quiet one energy wise. We have a Void of Course Moon happening later this evening so just use today to chill out and rest up tonight. Monday starts off with an Aries Moon just after 1am. Some of you may find that your sleep pattern is disrupted for the next couple of days. Aries energy can sometimes boost the energy reserves and have the mind in constant motion. It’s a good energy for getting things done, but not so good for situations where patience and attention to the smaller details is concerned. We also Mercury square Neptune happening. Under this transit our mental focus can feel a bit clouded, confused or lethargic. We can experience some disillusionment or disappointment in our observations or communication with others. This is an important time however, to break through old and rigid expectations that may be blocking our ability to see the bigger picture. Adding to this is a sextile between Mars and Saturn, which is also good for having work projects run more smoothly. Mainly it’s a day or two of tackling those jobs that are what I call “painting the fence”. More manual and less strain on the brain. Tuesday is a quiet day with nothing new to add to the mix. On Wednesday we have an early morning Void of Course Moon before it shifts into the more homey sign of Taurus in the early hours. Taurus’ grounded nature can help us focus and is great for letting us “get into the zone” of work or other projects, mainly crafty, artistic or hands on projects. Asteroid Vesta moves into Capricorn today as well. Vesta represents our capacity to integrate and focus our energy (our sacred flame) in order to bring a sense of wholeness to ourselves. In Capricorn, Vesta focuses on organization and control. It’s a good energy for projects requiring a lot of planning and persistence, which can be a big help during the Yule season where many are planning family gatherings, school Xmas plays and so on. Thursday evening sees Mars’ move into Aquarius. Mars’ forceful and assertive energy is at its most rebellious, eccentric and defiant in this sign. We tend to feel less motivated to go after traditional goals, and more motivated to pursue spiritual or emotional drives during this cycle. Dynamic yet erratic energy levels, achieving our goals through hit or miss tactics, and impersonal expression of anger are characteristics of Mars in Aquarius. We have a happy little trine between Venus and Jupiter going on as well. This transit can draw those to us who appreciate who we are and are willing to lend support. So between these two transits, we have a great energy for group work and plans because everyone is more focused on the big picture rather than their own gains. Add to this a trine between the Sun and Uranus that brings spontaneity and a desire to just go with the flow of things. On Friday the Moon enters her Void of Course lunation in the early hours before shifting into Gemini mid-morning. Short attention spans and experimentation is what a Gemini Moon can bring. The Moon is the instinctual side of life, so when there’s a lunar Gemini mood, the trickster is afoot. Humour becomes a way of defusing super serious situations. This can also be a period of emotional change: feeling two ways at once without getting too deep into either polarity is possible. The weekend starts off with a Gemini Full Moon where our basic instinct is to communicate, think, and learn. The Moon in Gemini is light-hearted, breezy, and curious, but it can also be restless and fickle. We will also feel the shift of mental Mercury in a trine with mind expanding Uranus. Remember, Mercury is at home with this Gemini Full Moon energy, so this transit gets a boost. Under this transit we can experience unusual ideas, flashes of insight and seeing unexpected possibilities. It’s much easier to be open-minded right now, especially about insights that have eluded us. Our ability to see beyond our normal horizon of perception can bring visionary brainwaves, “Aha!” moments, as well as a fun side to our sense of humour. The Sun will be square Chiron as well, and when these two planets come together in a challenged position we tend to find our patience and confidence feeling a bit strained as we feel a need to break free of chronic constraints. Motivation and self-esteem can drop but remember we have that energy from Mercury and Uranus that can help us break out of whatever is making us feel this way. We aren’t done yet! Mercury will also be square Chiron, which can add a bit of strain to our mental perceptions. Keep in mind that Chiron is about healing chronic issues. This may be a good time to sort some stuff out with the boost we are getting from the other planets. Sunday brings us a morning Void of Course Moon that will shift into the more instinctual need for peace. It’s a good day for winding down and being a homebody. Focus on sharing time with those closest to you and relax because the second week of December sees Jupiter going retrograde! Well here we are, the home stretch for November and getting ever closer to the end of 2014. December itself looks like it will bring a lot of playful energy our way. And this Thanksgiving week has a social and fun vibe too. Sunday brings the Wounded Healer, Chiron out of its retrograde cycle. These 4 1/2 months of Chiron’s journey in retrograde has given us a lot of time to assess the areas in our lives that need healing and has helped us to discover the ways in which we may be wounding ourselves and others around us. As Chiron moves forward we find it’s time to take all that we have learned over the last few months and apply them over the coming months while Chiron is still in its shadow. We also have Mercury in a square with Jupiter today, which can bring us information overload at a time when many are already feeling a bit overloaded. This mingles with the New Moon energy that has so many of us questioning what we believe in, and many choosing to disengage with the world around them for a bit. Let’s take a look at what the week ahead has in store for us. On Monday the Moon enters her Void of Course lunation in the early hours of the morning before continuing on into Capricorn in the afternoon. Capricorn is where we feel that need for structure and planning. It makes a good vibe for the first half of the week if we are needing to get work done and out of the way before those Thanksgiving festivities start. Tuesday is a quiet day for us, so get your head down and clear the workload or start setting a plan for things you want to get done. On Wednesday we have Mercury in a conjunction with Saturn, where we find this need to analyse what is essential in our lives. It also adds the ability to focus and concentrate, a good energy for getting those last minute plans together and work out of the way. We also have a trine between Venus and Uranus happening. This is a transit where liberation and spontaneity flood into our relationships, resources, finances, and those little pleasure we so enjoy! One thing we do need to be careful of however, is that we could spend impulsively beyond our budget, or become reckless in our relationships and social interactions. The key is to allow ourselves to break free from what is holding us back without breaking down the order and structure that we need in our lives. Wednesday evening brings the Moon into dreamy Aquarius, where we won’t feel like dealing with all of those small details and planning. Thursday brings a challenging square between the Sun and Neptune. This is a transit that can bring confusion our way with a bit of turmoil that can lead to self-doubt. We may find that objects, people, names, and directions get lost, forgotten, or misplaced. For some, energy levels may feel a bit low and some may experience disappointment or feel unusually discouraged by any obstacles that pop up now. It isn’t all bad though! This can be a very creative time for those who are able to harness their imagination and direct it towards something productive. 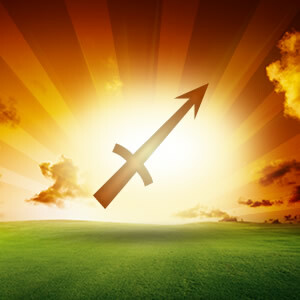 Friday brings communication planet Mercury into the more freedom loving sign of Sagittarius. This is a time for refocusing, readjusting, freedom and independence. Our ideas, thoughts, inspirations, and communication all get a boost and are expanded. Our minds and our outlook turn to the more spiritual and philosophical. To some, this energy can feel a bit overwhelming and make it hard to grasp the vast terrain of knowledge that we are now perceiving. The best way to deal with this energy is to step back a bit in order to get a bigger view. This is a good thing to do for those issues in our life that we feel a bit stuck or blocked by. Step back and try to view any issues from a distance. It can often allow us to see something that we could not see when we were smack in the middle of the issue. The Moon enters her brief Void of Course lunation on Friday evening, followed by a move into mystical Pisces just in time for the weekend. The weekend is a quiet one but a Mercury/Neptune square can make our thinking fuzzy and have us feeling tired. Best thing to do is have an easy weekend before getting ready for the first week of December! Today the Sun moves into fiery Sagittarius turning our minds towards the future and limitless possibilities. Sagittarius has the effect of bringing an optimistic energy to our lives and enthusiasm as we start to explore our current confines and step out of our comfort zones. Even stubborn Taurean’s will feel that adventurous pull towards doing something new and changing their tried and true routines. We are challenged at this time to explore our spirituality and gain fresh perspectives and encouraged to reach beyond what we perceive to be our grasps. This can really help us to gain new wisdom and finally understand things that had us feeling a bit stumped or blocked before now. There are a few downsides here however. It can have some denying current issues in the present by escaping into fanciful daydreams about the future. Anything that contradicts what we believe at this time can be denied or ignored and this can make it hard to reach compromises. It can be all too easy to assume that our truth is everyone else’s though. This stems from Sagittarius’s desire to share inspiration and experiences and most mean well. But we need to remember that we are all individuals and are not all inspired by the same things. Beware becoming self righteous know it alls or coming across as if you are privy to info that others are not. It can make us look arrogant and push people away rather than allowing others to want to share. There is a very fine line between sharing passionate knowledge versus shoving opinions down someone’s throat. Everyone has their unique perspective on life, and therefore their own sense of meaning and truth that works for them. When the Sun is in Sagittarius, adventure finds a way into our otherwise routine and busy lives. This Fire Sign energy compels us to explore farther away from our homes and habits, to speak to those we might otherwise avoid out of apathy or anxiety, to create our own history by taking chances and making bold choices. Creativity and storytelling thrive under this Sign’s influence, as Jupiter, a benevolent planet of good fortune and philosophy, rules it. Conversely, during this freewheeling time, you may have a hard time settling down to work or putting up with a schedule or deadlines. And you may be feeling dogmatic, too. 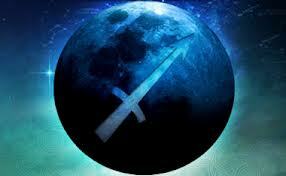 As a Mutable Sign, though, Sagittarius will be adaptable and willing to listen to other sides of an argument. Watch for broken bones or mishaps with this increased sense of adventure, courage and determination. On the whole, Sagittarius is an exploratory, optimistic energy. Put it to good use! The Moon is quite busy today! She starts off Void of Course in the early hours of the morning before slipping into optimistic Sagittarius just after noon and then into her New Moon lunation a short time later. New Moons bring us the opportunity to set intentions for the changes we want to manifest in our lives. See the darkness of the New Moon as an empty vessel that is waiting for us to fill it with possibilities. Something else special about this New Moon is that it is the third in a row to be at zero degrees of the sign it moves into. It’s said that when the Moon is at the first degree of a sign it brings the strongest energy for new things. This means that a New Moon happening at zero degrees of a sign creates a portal for us to manifest real change in the area of our life we need it in. This New Moon is all about beliefs, values, shifts, and challenges. There is a wee bit of a contradiction here with Sagittarius wanting to have its party time and lots of fun, and the New Moon wanting to be introspective. So it’s important that we make room for both under this period. Just remember that the main thing about a New Moon is that it is all about new beginnings that come from a deeper and more spiritual level of our being. It’s a good idea to take time and see where your philosophies don’t measure up to your day to day life. If you have a look at where Sagittarius falls at zero degrees in your natal chart, this can give you the opportunity to decide how you would want to make changes in that area. If you aren’t sure, just think about what it is that you believe in. What is your vision for the future? The Moon is approaching Venus at this time too, so a few of us may find that the area we most believe in is beauty, love and our resources. Adding to this the Moon, Sun and Venus are all in a square with Neptune, which can cause us to struggle in gaining clarity regarding what it is we truly feel, need, hope for, want and may choose to step back from society and the people around us. This is especially true for those of us who may not know what we really do believe in. We just need to be careful that we don’t let the perspectives of others cloud our own vision. Happy Sunday everyone! We are now midway through November and the Yuletide season is nearly upon us. Sunday is still under the influence of a Virgo Moon which has us focusing on little tasks. That vibe is going change though as we get to the end of this week, so let’s see what the rest of this week has in store for us. Sunday has a lot of activity going on. Neptune turns direct today after its 5 month retrograde trip for a start. The forward shift of ethereal Neptune is a subtle but significant event. Keep in mind that for up to a week before and after this date, you might feel a bit dreamy, disconnected, depressed, sluggish or scatter-brained. Neptune energy tends to take us into an intuitive, non-rational place which can stir up feelings and issues that have been deep in our unconscious mind. Love and money planet Venus moves into partying Sagittarius, where she will remain for the next three weeks. And lastly, Mercury joins Pluto, infusing our communication with passion and persuasion. This particular transit can help us shed any old and outworn perceptions that we have been holding onto. But we need to be cautious that our words are not coming across as too forceful. Monday brings us a mid-morning Void of Course Moon that will move into balancing Libra later in the evening. We also have communications planet Mercury making a trine with the Wounded Healer Chiron. This transit can open up the door for some positive and healing communication because we are all more willing to listen now. We may also gain a fresher perspective regarding life in general at this time. Tuesday is fairly quiet aside from a conjunction between the Sun and Saturn, which are both in Scorpio at this time. We may notice this transit’s energies a few days before and a few days after the actual event. It manifests in different ways but the main point is about getting serious and committed to ourselves, a project, or others. It’s time to get serious! Wednesday is a quiet one and gives us a bit of a breather midway through the week. We can use it to catch up on things or to double check that areas of our lives are in balance, and make any necessary adjustments if it’s not. The Moon joins the Sun and Saturn in the sign of Scorpio on Thursday morning, where we are drawn to deeper conversations and getting to the core of our emotions. We also have a challenging square happening between Venus and Neptune where we may find that areas like our relationships, material resources and money become subject to unrealistic thinking, deception and confusion. We need to be aware of old addictions and depression surfacing at this time as we try to deal with some emotions that come bubbling to the surface now. Adding to this is a square between Mars and the North Lunar Node. We may have already started to feel this transits effects in the form of feeling that our circumstances and environment are working at cross purposes to what we feel our best direction in life is. We may also be feeling at odds with others, or just plain feel like we are in the wrong place at the wrong time. Friday brings a sextile between Mercury and Mars that will give us the opportunity to dig deep and find the courage that we need to speak our minds. Or we may feel the need to stand up for ourselves or others at this time. Be careful though, because our words can come very swiftly and slip out before we have had a chance to think about what we are saying. Saturday starts off with an early morning Void of Course Moon which will then move into Sagittarius before entering its New Moon lunation just after noon. The Moon will be at the very beginning of Sagittarius and also aligned with Venus. It brings an enthusiastic energy that is great for travelling and parties. Just take care not to overdo it. The Sun will have joined the Moon in Sagittarius on Saturday morning too. But just below the surface of Sagittarius’ optimism lies an undercurrent from a few planets that are in deep Scorpio and serious minded Capricorn. If we keep a balance between enjoying ourselves without ignoring the practical realities in our lives, we should be ok. However, emotionally we may start to feel a sense of life about to change. Sunday sees the Wounded Healer moving direct after its 4 1/2 month retrograde. Chiron is in Pisces at this time which can have us feeling like we have one foot in the physical world and one in the spiritual realm, caught between the mental and emotional aspects of our lives, or feeling a conflict between our outer objective and our inner subjective experiences. As Chiron moves forward we find it’s time to take all that we have learned over the last few months and apply them over the coming months while Chiron is still in its shadow. So don’t be surprised if you find yourself coming to decisions or hitting a turning point regarding issues that, up till now, you have been struggling with since spring of this year. This usually relates to career, goals, expectations, and authority issues. Be aware too that stresses related to these things can now come out as health problems. Mercury will be square Jupiter as well which can feel like information overload to many. Sunday is best used to have some quiet time in a peaceful setting before we get moving on the next week. Happy Sunday everyone! Hope you all made it through our first week of November ok. I’ve had some hiccups happening over the past couple of weeks myself and am trying to get things back in order. So today we have a lazy kind of energy around us with Venus in a square with Jupiter. This energy can make us feel more generous, which is great in many ways. But we also need to be careful of spending money on buying things that we think will make us feel good. We need to set some boundaries for ourselves but still allow ourselves to enjoy the energy too. We can find other ways of being generous that doesn’t involve depleting our resources, such as giving others our time and attention. Have an at home spa day with friends, start a fun project with your mates, or just spend some quality time with your kids. Now, let’s see what the week ahead has in store for us. Monday starts off with the Moon in watery Cancer. We may feel that restlessness we had with the Gemini Moon settle down now and our focus turns to finding comfort and peace and quiet. It’s a good energy for doing work around the home, which is great if you work at home, but not so great if you work out of the house. So some of us may feel like calling in sick and staying in the comfort of the home. Mercury finally leaves its shadow on Monday where we may not start to feel a kind of slow, coming to our senses feeling as things come back to “normal”. Mars will also be in a conjunction with Pluto, a transit that can be a difficult combo because it is quite volatile. There could be some bad news around this day and is not a good time for being around angry individuals. How we experience this transits energy will greatly depend on how we normally deal with our own wants and desires. For example, are you so attached to a particular outcome that you have tunnel vision and can only focus on the external results? Or are you able to bring that focus inward to strengthen and empower yourself in a positive way that will begin a time of change? Tuesday brings a trine between Mercury and Neptune where our intuition and imagination runs high. It can be a highly creative time where our thoughts and ideas flow freely and the answers come to us almost magically. We do need to be careful though because it can be all too easy to allow ourselves to get caught up in yearning and fantasizing about our deepest, hidden wishes. While Tuesday has a softer energy compared to Monday and Wednesday, it will still feel a bit like we are on a roller coaster ride of emotions and actions. We need to try to go with the flow of things as best as we can. Wednesday is a challenging one for us. We start off with a Void of Course Moon as we are getting ready for the work day. Mars will be in a sextile with the Wounded Healer, Chiron giving us a boost of precision and energy that can help us get the job done. Venus will be conjunct Saturn as well today and many of us may feel a bit withdrawn even in crowds. We may feel more restrained where love and money issues are concerned. The volatile energy for Wednesday however is impatient Mars and explosive Uranus in a challenging square. Some really erratic action and unpredictable impulses can surface under this transits energy. We have more active energy to tap into now but be careful because it can be very hard to control its direction, intensity, and predictability. Unconscious and suppressed emotions like anger, frustration, and fear are all bubbling away under the surface and can pop up when we least expect it. It’s also a time when we are more accident prone so be careful! The day gets wrapped up with the Moon moving into heart centred Leo. Thursday brings another bit of challenging energy between the Sun and Jupiter. Under the energies of this transit we feel more upbeat and enthusiastic. We may feel inspired to expand well beyond our usual boundaries now and this may or may not work in our best interests. This can be a challenging time where important lessons could emerge that help to expand the limits of our true beliefs. Try not to react too quickly, but rather take a step back and really look at what is happening and what is being learned. Friday is a quiet one for us where we can gather our senses and energy and start getting ready for the weekend, which will be a bit quieter for us. Saturday brings us a productive Virgo Moon that can help us tackle those practical things that need to get done. Neptune will be ending its long retrograde cycle as it goes direct in Pisces. The forward shift of ethereal Neptune is a subtle but significant event. Keep in mind that for up to a week before and after this date, you might feel a bit dreamy, disconnected, depressed, sluggish or scatter-brained. Neptune energy tends to take us into an intuitive, non-rational place which can stir up feelings and issues that have been deep in our unconscious mind. Pay attention to your dreams this weekend because they can be more vivid and could give us the insight we need into situations we have been struggling with. Venus enters optimistic Sagittarius on Sunday where she focuses her passion on truth-seeking, philosophical exploration, a lust for knowledge, and spiritual intimacy. It’s a time for us to explore what the meaning of our close relationships are to us. This is also a time when we look for ways to increase our income or our spending so we need to be careful that we don’t over indulge. Mercury will be sextile Pluto as well, fuelling our communication with our passions. It’s a good energy for getting others to see things the way you do and for finding common ground. Just don’t try push your views too forcefully. We are two days into a new month now and the energies for November should be a bit calmer for the most part. Today is Daylight Saving for the U.S. so make sure those clocks go back an hour! Sunday is a quiet one for us so lets us it to recuperate a bit and get ready for the week ahead. We still have that spacey Pisces Moon energy at play too which makes it a good day for relaxing. Monday starts off with a Void of Course Moon just in time for the work day. We may feel a bit set adrift emotionally right now so try to hold off on decision making if you are feeling uncertain. The Moon will move into Aries by the evening, bringing that “hurry up” energy along with it. This will be with us through the first half of the week. We have love and money planet Venus in a trine with the Wounded Healer Chiron which can bring us a good opportunity for some healing in the areas that Venus affects. The Sun is sextile Pluto as well which can have us feeling our sense of purpose growing stronger for today. It’s a good energy for applying determined effort. Tuesday is Election Day in the U.S. and we have the Moon aligned with Uranus which could mean interesting results and some upsets. We also continue with that fiery Aries energy that will hopefully allow us to get some things done without burning us out. Wednesday brings a trine between the Sun and Chiron which guides us towards healing those chronic struggles we may have been encountering for the past few months. It’s a time when we are able to see that our recent efforts are actually getting us somewhere. We also have the Moon moving into the comforting sign of Taurus on Wednesday evening, just in time for the upcoming Full Moon. Thursday’s Full Moon in Taurus brings an emotional intensity with it due to a few alignments that are in play now. We have the Sun, Venus and Saturn in Scorpio all in an opposition to the Full Moon. It’s about going to the depths of our emotions so that we can restructure those emotions and values. And while that is going on, Mars and Pluto are starting to align over the next few days. The negative aspect of this is that it has a violent and destructive side. So make sure you steer clear of people with impatience and anger issues. The plus side to this energy is that we can put our physical energy into actions that can transform our lives at the most core level. Friday brings a quieter day that can give us some breathing room and a chance to tie up any loose ends before the weekend starts. We have a social Gemini Moon on Saturday that wants us to keep moving. This isn’t the weekend however, for taking on projects that need intense focus. Cerebral Mercury also makes its shift into scrutinizing Scorpio where we are more able to read between the lines. Conversations tend to take on a heavier tone here and we are drawn to getting to the core of issues. On Sunday we have Venus in a square with the planet of luck, Jupiter. Here we tend to want to take pleasure in doing things in a big way. Generosity flows more but we also need to set some boundaries so we don’t go overboard with things like spending or over indulging. It can make for a lazy day on Sunday so make the most of it, because the coming week is when we have some of those challenging planetary energies that will be at play. Don’t forget Daylight Savings Time is coming up for the USA & Canada clocks go back November 2nd! November’s energies will reduce in intensity compared to what October brought our way. Mercury retrograde is done and the eclipses of October have passed now. We will still have a few challenging days taking place between November 9th through the 13th though. Remember at that time to not force issues and you should get through it unscathed. The specials for this month reflect the energy we will be dealing with. I have the seasonal Thanksgiving/Gratitude reading, and a few readings that will help you to explore your current journey in life. All of these can be found in the Monthly Specials section along with a few other inspirational readings to help bring balance into your life. You can have a browse through the many specialized readings I offer on the Tarot Readings page. Tarot’s Life Path & Personal Growth section is a good place to start! I’ve started a new Blog that you can find at http://earthspirittarot.com/wp/ I hope to be writing on a variety of topics from Tarot to general spirituality topics in the near future. Congratulations to you both! I’ll be sending you two an email to tell you how to claim your prize shortly! For those who haven’t entered the raffle yet, each month I select 2 random people from entries submitted to win a reading of your choice worth up to £15.00 from any area of my site. For more details, and to enter November’s raffle, stop by and visit the Raffle Entry page! Good luck!